A few eyebrows may be raised by the Fireworks/Rocktopia fraternity regarding the inclusion of a review of a book about Cher. However, although she is more famous for her Sonny and Cher days and the 'Believe' song (the one with the vocoder effect), she also has a substantial rock pedigree. So with that perspective, I embarked on reading this reasonably hefty tome written by two people – Easlea covering the period 1946 (yes, Cher is that old) to 1979 and Fiegel 1980 onwards. The styles of the two writers are very similar and I did not notice the seam. The style in truth is more of a chronological listing of Cher's life and in particular her recordings plus quotes and soundbites sourced from previous biographies and news articles. 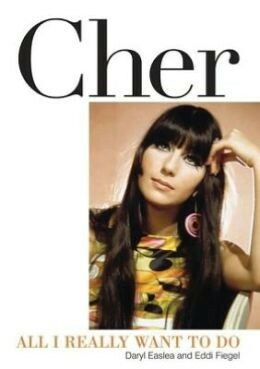 The book is fairly uncontroversial and will not trouble Cher's lawyers; Cher clearly was not involved in this book at all which was written for fans by obvious fans who do not pass any type of negative judgement. In fact, the book's clear message is that Cher is always in control of her career and she is a true survivor, etc, etc. Cher´s life is interesting and the book covers the various chapters (moderately successful, successful or stellar) very even-handedly. The lesser known period with Gregg Allman was covered well and shed some light on the late-70s period prior to her resurgence with Meatloaf on 'Dead Ringer For Love'. On a negative point, there was no mention of the relationship between Cher and Jim Steinman or Meatloaf which would have been very interesting. The power ballad period of Cher involving Diane Warren, Desmond Child and Bon Jovi/Sambora was covered in some depth. However, I was disappointed that there was no explanation of Bon Jovi's motivation in being involved and providing such strong songs to someone else (Richie Sambora famously had a relationship with Cher though). After three rock albums with Geffen, Cher appeared to focus on massive concerts and the rock songs such as 'Just Like Jesse James' became just popular chapters in her career, which then evolved (if that is the right word) to 'The Shoop Shoop Song' and the aforementioned 'Believe'. So, in summary, this is a well-written comprehensive book focusing on the recordings and concerts of Cher, with a fair portion of insight on the personality of this larger than life star.